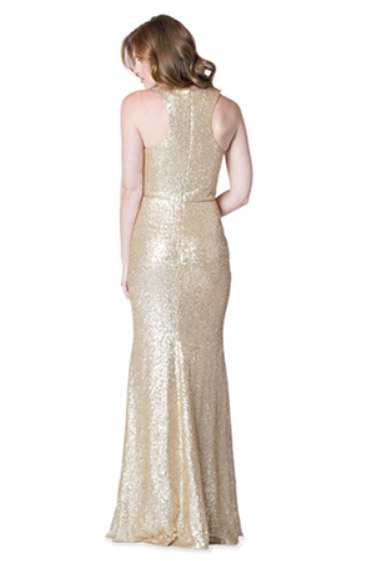 Bari Jay style 1601 - Shown in Gold Sequin. 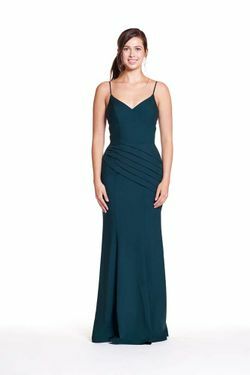 Slim fit halter neck sequin dress with pleated front bodice, racer back and center back zipper closure. Available in Short version as style 1601 S.